I’ll show you, step-by-step, how to paint beautiful watercolor flowers. Each Wednesday, I release a new (FREE!) tutorial on YouTube for you to follow along with. My favorite way to learn is to watch others’ process, so I hope you’ll follow along! 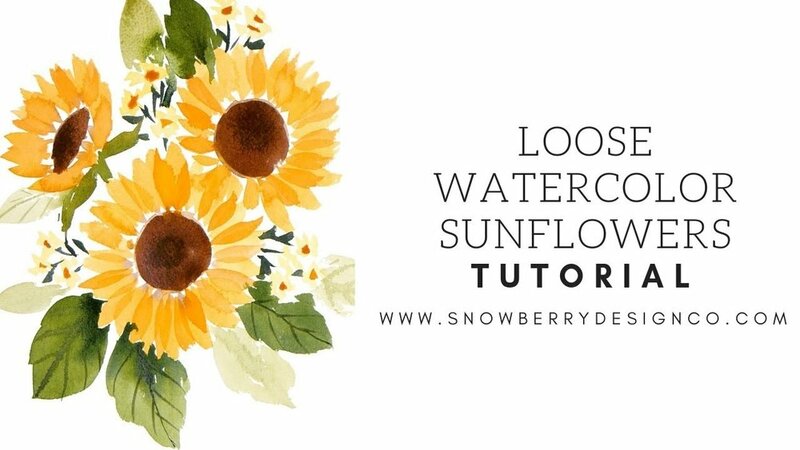 Please share your work and use the hashtag #snowberrytutorial for a chance to be featured! Follow along on Instagram @snowberrydesignco. Join thousands of people and subscribe to my channel (for Free!) today!